Originally published on People’s Pundit Daily on Oct. 22, 2017. When most think of the Long Island Sound, they picture a paradisal cut-out of communities between the eastern shores of Bronx County, New York City, and southern Westchester County. But in one of America’s wealthiest small cities, hidden health dangers breed and flourish in man-made rainwater basins and un-permitted sewage pits. Hen Island is located less than 500 feet off the shores of Rye and serves as the not-so isolated location of summer, primitive-living cottages. Residents do not rely on modern plumbing, instead collecting and storing untreated rainwater for domestic use. Human waste for years has been dumped in sewage pits, which are located only feet away from the shoreline of the pristine Long Island Sound. In Milton Harbor, the island is just off the mouths of Mamaroneck and Rye harbors. It is owned and operated by Kuder Island Colony Inc., but regulated by the City of Rye and Westchester County. 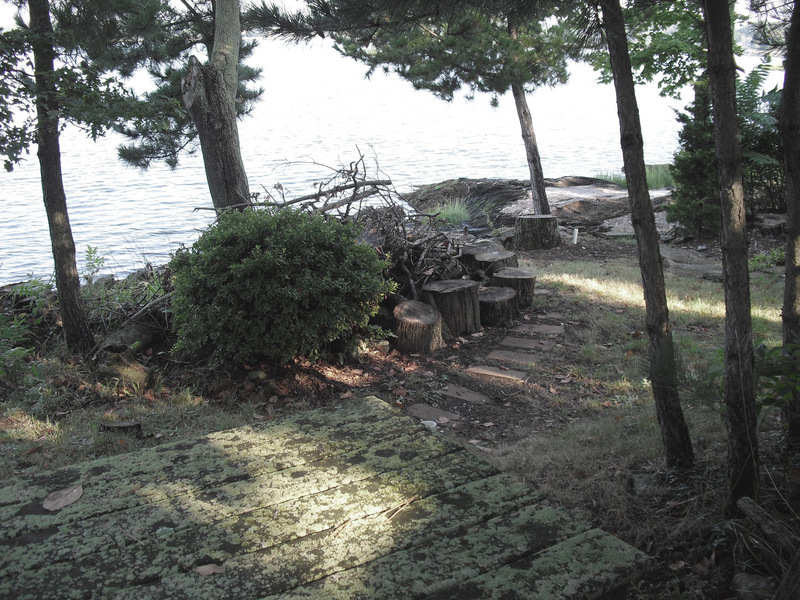 The 34 primitive cottages on the island have enjoyed exemption from federal, state and local sanitation regulations requiring residents to use potable municipal water sources–which consequently, are already available to the island–or approved water wells. Ray Tartaglione, a homeowner-turned-activist, has been sounding the alarm on the potential health risks caused by these systems for years in Rye. When he first purchased his property on Hen Island, he was told the sewage and water systems were legal and grandfathered in. Mr. Tartaglione joined the board and later became the president, which is when he was granted access to records showing what he had been told was false. But after holding meetings with the country health department and other agencies, he was voted off the board and his efforts were shut down. In 2008, the county removed lead investigator Ron Gatto without explanation and replaced him with Lenny Meyerson, who claimed to have inspected the island at the time and found no violations. Worth noting, Mr. Gatto’s initial inspection found systems were installed with PVC pipe, a clear indication that the “grandfathered” explanation doesn’t hold water. While the original patent dates back to 1913, PVC/CPVC plastic piping for municipal plumbing wasn’t introduced until the 1970s, roughly two decades after the systems were allegedly installed at Hen Island. That plea went largely unanswered. Mr. Tartaglione, who now heads the local environmental group Heal the Harbor, said sewage and other forms of human waste eventually end up in the pristine and environmentally-sensitive Long Island Sound. It’s just 450 feet from where one home was listed on the market for $20 million. Officials have said the dumping of raw sewage has stopped, a claim activists vehemently disputed. Video footage taken as recent as 2016 clearly shows the sewage pits. Given their location, it is irrelevant whether the sewage is directly dumped into the Sound or simply accessible through the water table. Since 2003, data from the Centers for Disease Control and Prevention (CDC) show the area has experienced a disproportionately high number of West Nile cases juxtaposed to the more-highly populated surrounding areas. In 2004, only Westchester County and Queens County reported cases to the CDC, and the area often boasts half the number of reported cases found in New York City. Over the years, concerns over mosquito-transmitted viruses have grown to include the Zika virus. Infection during pregnancy can cause birth defects of the brain, including microcephaly and other severe brain defects. It is also linked to other birth problems such as miscarriage and stillbirth. There have also been increased reports of Guillain-Barré syndrome, a very uncommon sickness of the nervous system. It is established to have a direct relationship with areas affected by Zika. Westchester County Health Commissioner Peter DeLucia has claimed Hen Island has been inspected–in fact, as recent as last year–and he believed residents were taking precautions. But Port Chester Mayor Dennis Pilla doesn’t share the same sense of security. People’s Pundit Daily made multiple requests for official responses to these allegations, but they went unanswered.